Caution!!!! City is under threat a giant wild Lizardman predator has trample down the city and creating extreme chaos and rampage. The most realistic angry lizardman rampage available for chaos games lovers. Lizardman smasher game is destruction game that you could never imagine before. 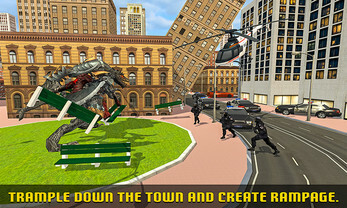 In this wild Lizardman sim 3d control your ultimate lizardman and attack on the citizens and dominate the city to smash city. 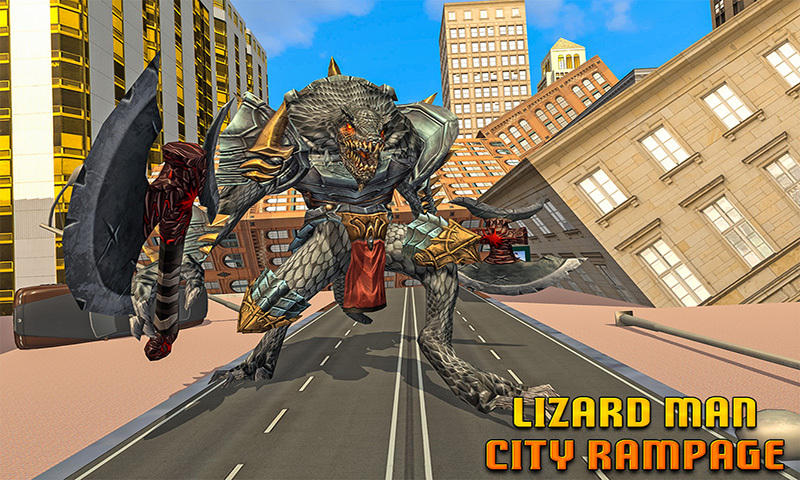 Search and destroy target around in the city and jungle you just need to destroy vehicles and everything comes in your to complete level with Ultimate Lizardman City Rampage 2018. This animal rampage game is specially designed for wild animal attack games. Angry lizardman is on city destruction mission and destroying each and every thing with killing of people ruthlessly. Show no mercy and continue hunting like a cruel hunter. Beware from snipers and police forces who will try to shoot you with their ultimate shooting weapons in lizardman vs police game. 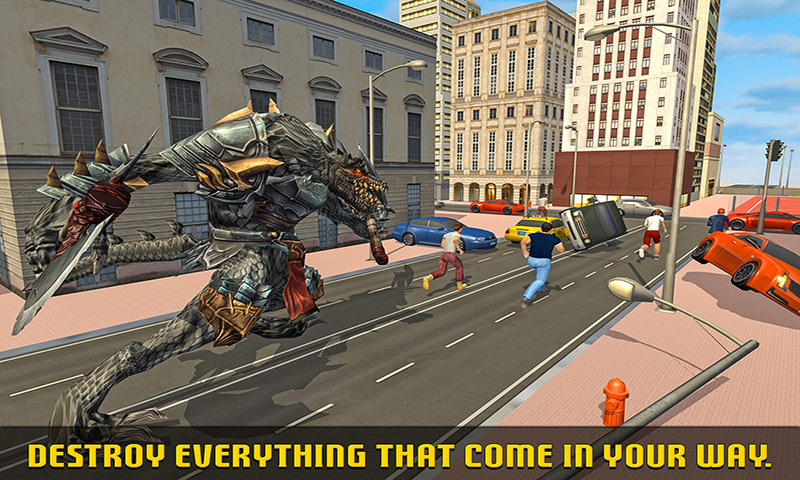 Take revenge from every citizen and release your inner animal as lizardman city hunter. Extreme destruction in the modern city with your hidden attack powers. 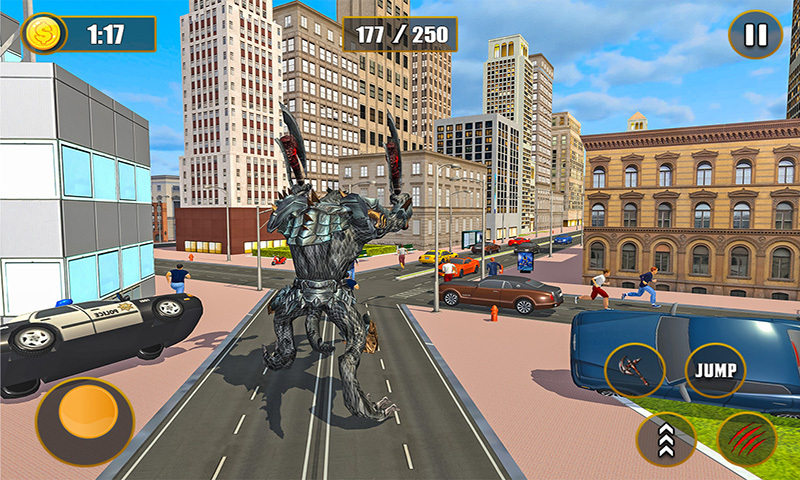 Use your immense power to demolish the city and become a strongest beast ever. Leap into a thrilling new adventure as a ferocious lizardman, sneak and hunt ruthlessly in animal fight game. Lizardman survival in city has fighting missions against town cops loaded with sniper guns and they have order to shoot you. This is complete fusion of wild animal attack games and animal rampage games. Awaken the monster inside you and demolish everything you see in deadly animal fighting simulator game. Hunt down everything, smack down vehicles, buses and trucks and crush anything with smash and attack powers! Escape the police and the military jeeps and the tanks which are standing to hit you. In real lizardman attack city hunting simulator 2018 people of city will run from the big beast lizardman jungle in action games. Fight for your freedom furiously and show your anger while people attempt to kill you. • Many lizardman city survival missions with destruction & rampage. • Different targets to attack & hunt in the futuristic city. • Highly responsive enemy hunting simulation in angry lizardman revenge 2018. • Thrilling gameplay with blasting environment. 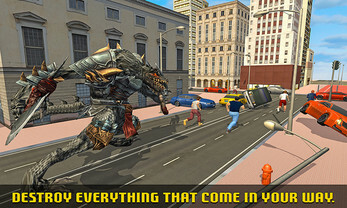 • Realistic sound effects & smooth intuitive wild lizardman controls. • Plenty of fun sounds & vibrant visual effects. You have extreme powers so neither hunter nor soldiers are a match for you, just continue destroy their vehicles, tanks and military jeeps and eliminate them including their weapons. 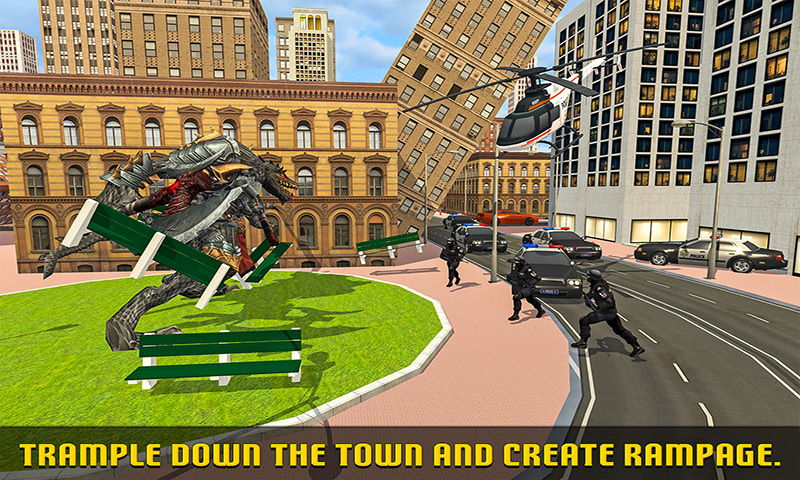 Chase and crush invaders for your survival in lizardman city hunting simulator game. 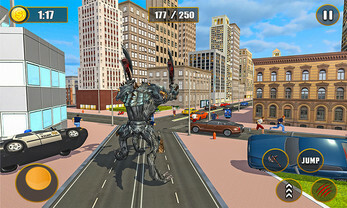 Download Ultimate Lizardman City Rampage and enjoy the destruction action gameplay in mega town.